Ciamillo Brakes, makers of the Zero Gravity after-market brake components, will now be distributed in the UK by Roche Sports, the company behind the successful Sabbath Cycles brand. 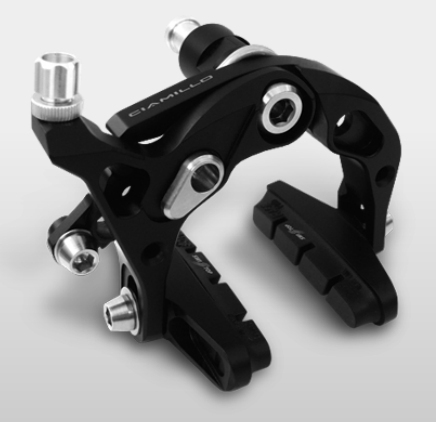 “Ciamillo brakes have done exceptionally well all over the world and their Zero Gravity brake really set the benchmark and created a whole new market for itself,” said Roche Sports Director, Greg Roche. The range-topping Gravitas model costs £649.99 and weighs in at a claimed 120g per set, something that the company claims make it the ‘highest performing and lighest brake on the market’. Next in the heirarchy is the Zero Gravity system, followed by the 140g Negative G and a 180g G Cross cyclo-cross specific system. 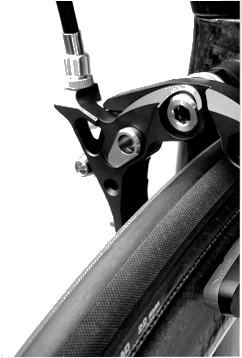 All models offer a range of adjustments that allow you to set braking power at different points in the travel of the brake lever. The company offers an Absolute Zero custom colour programme, where customers can specify the combination of colours used in their brakes. Colour choice is from red, green, purple, blue, orange, white or black. Turn-around time is six weeks and the service costs around £40-£50 on top of the normal RRP.